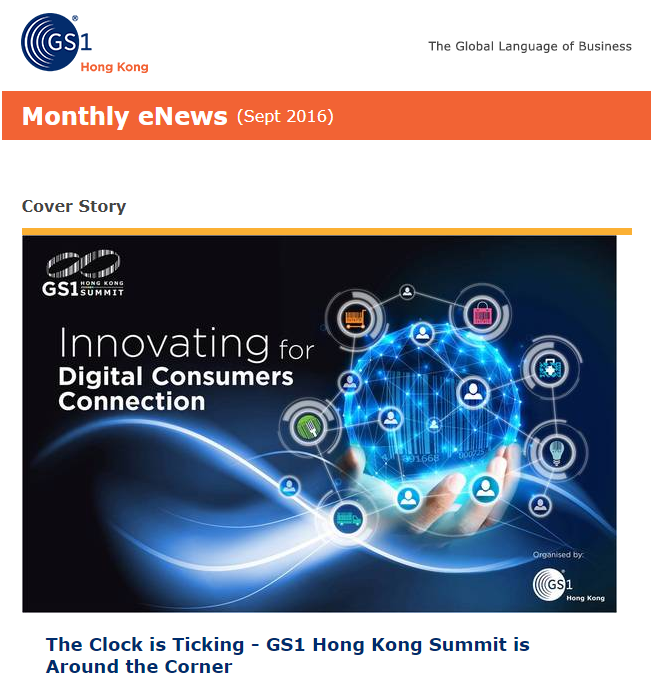 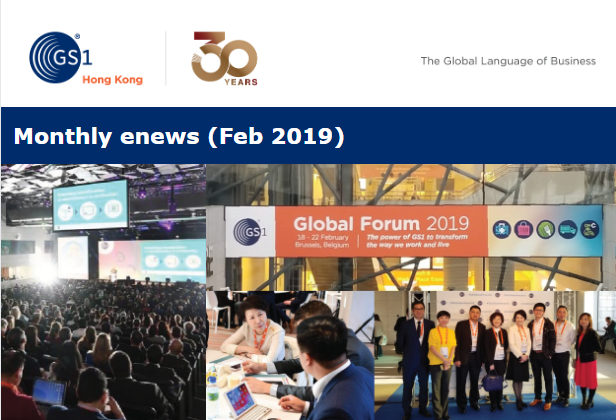 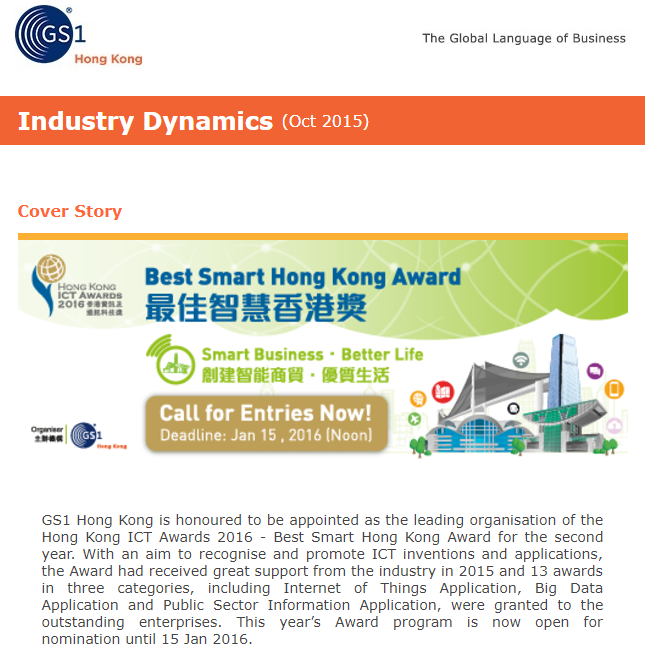 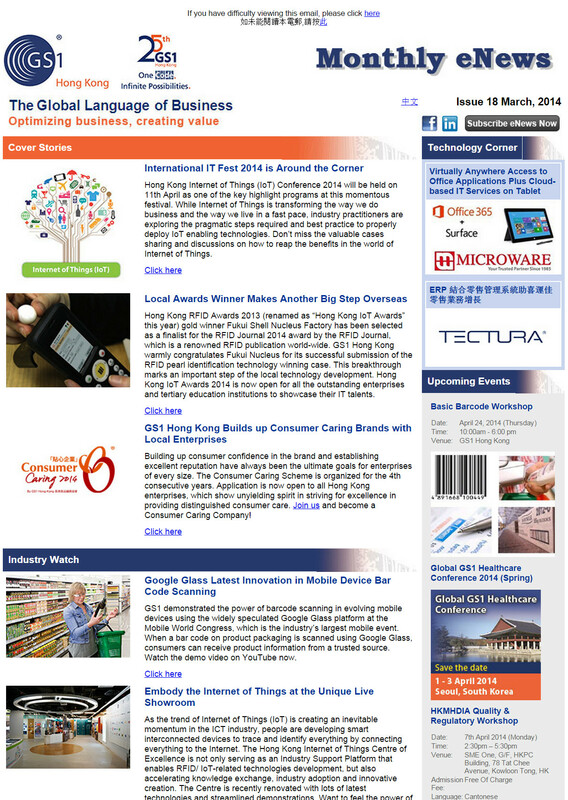 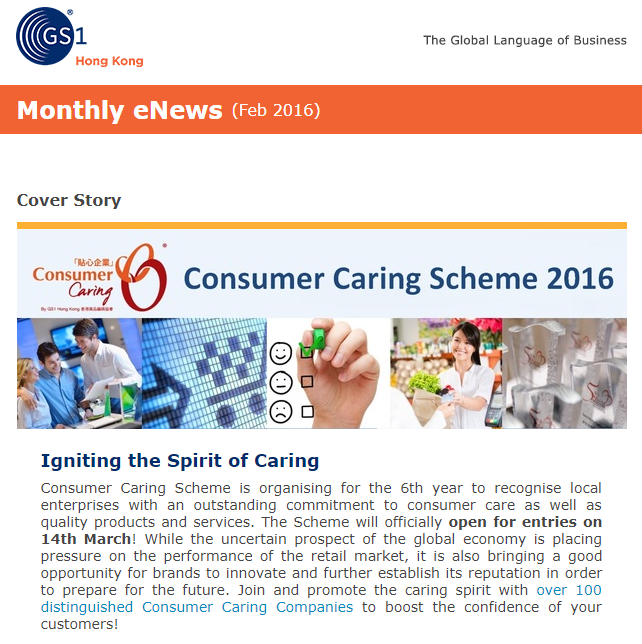 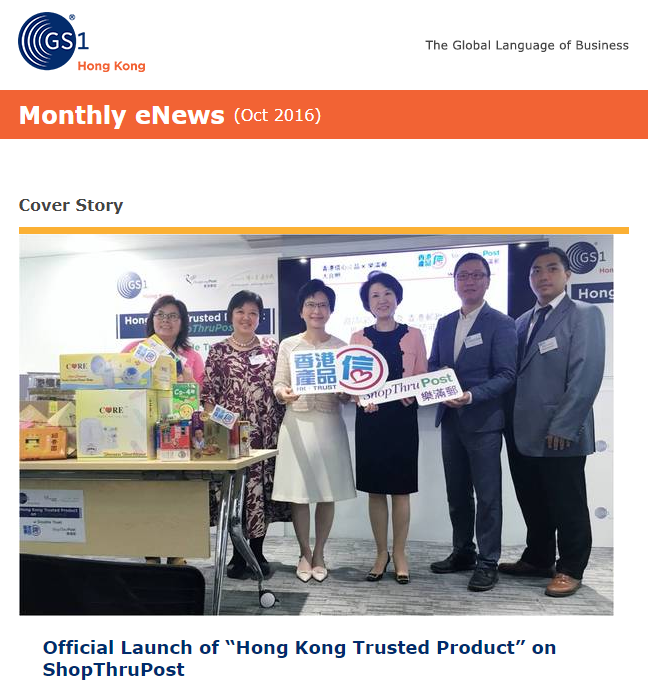 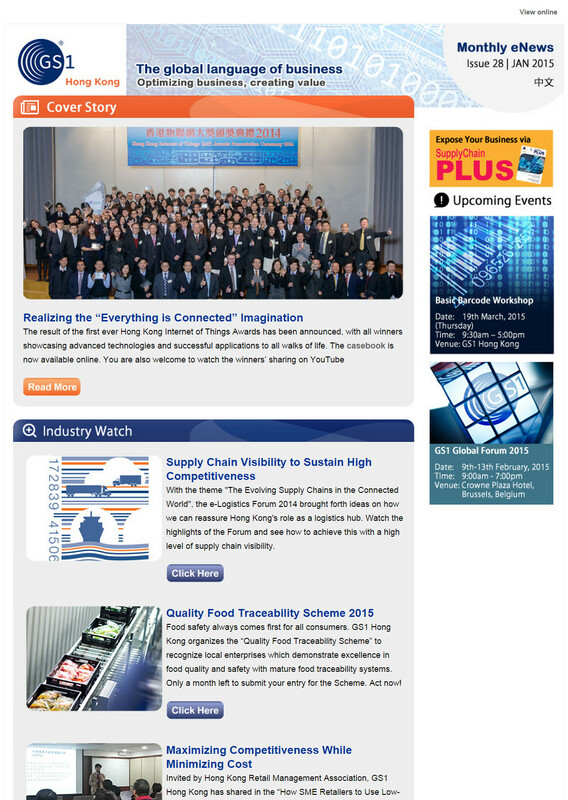 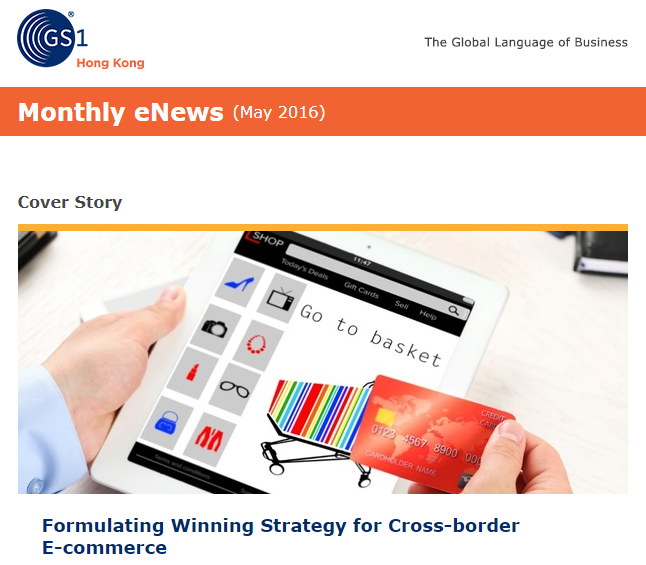 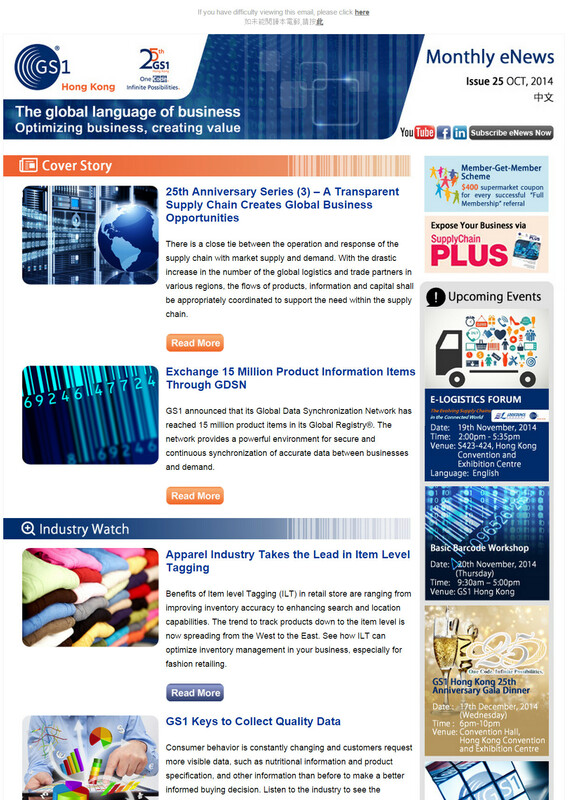 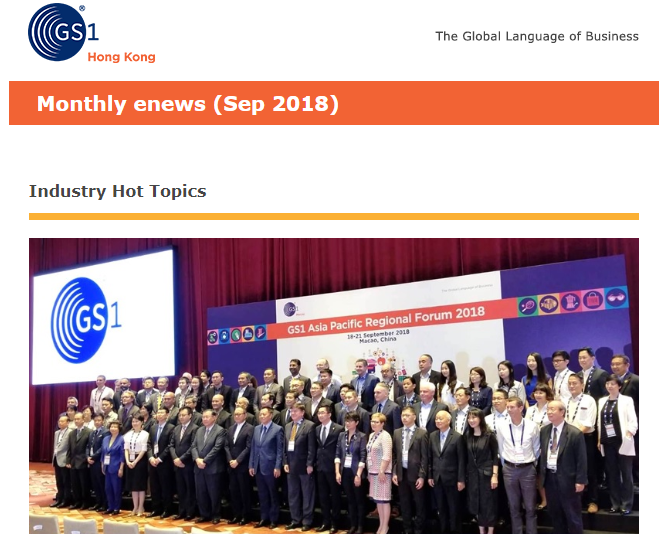 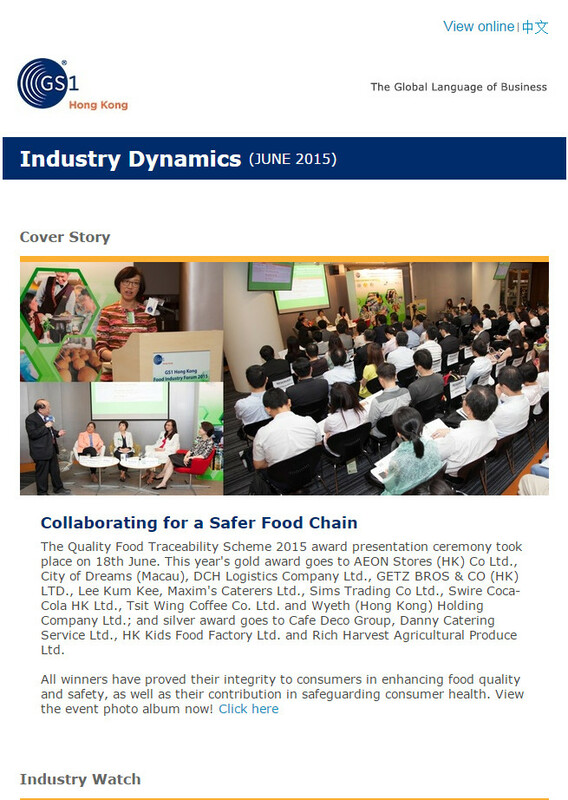 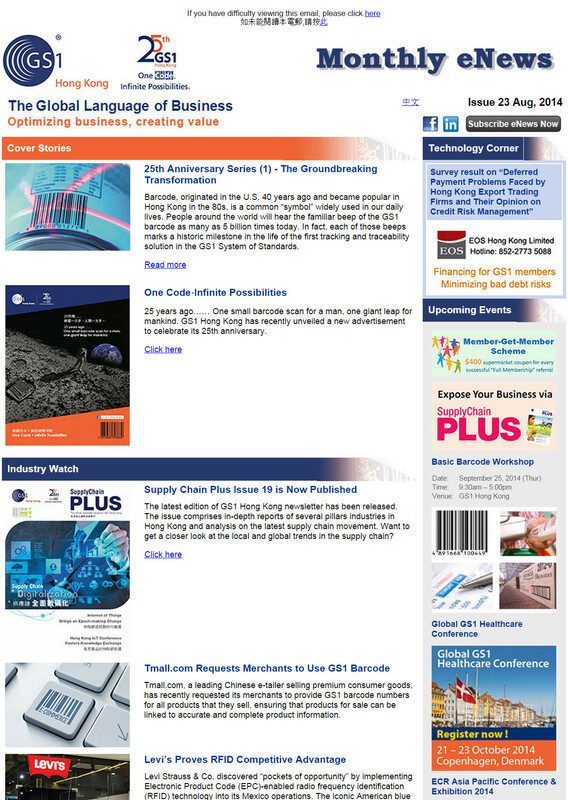 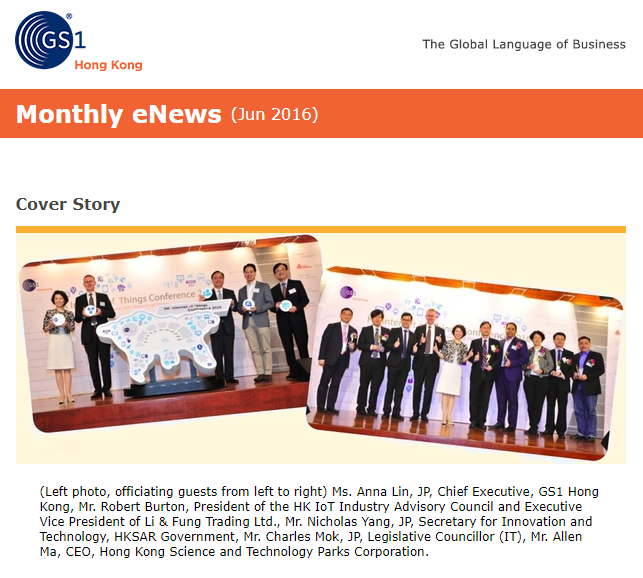 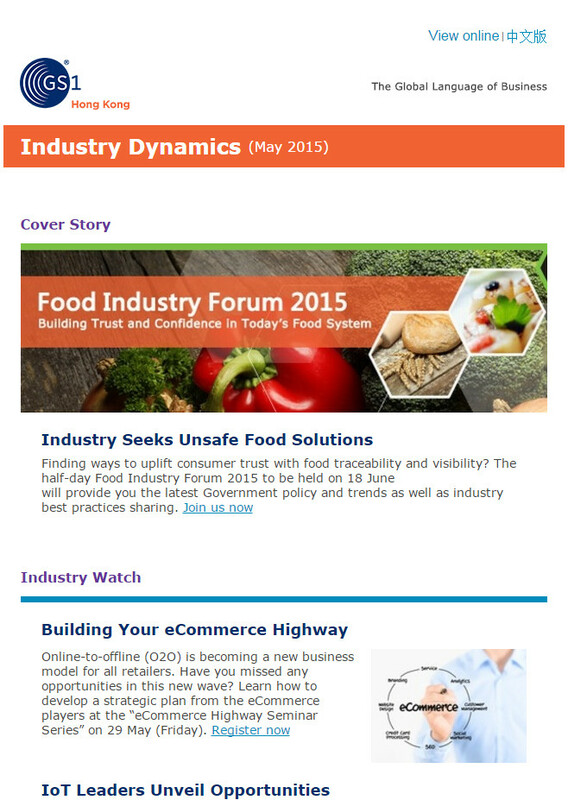 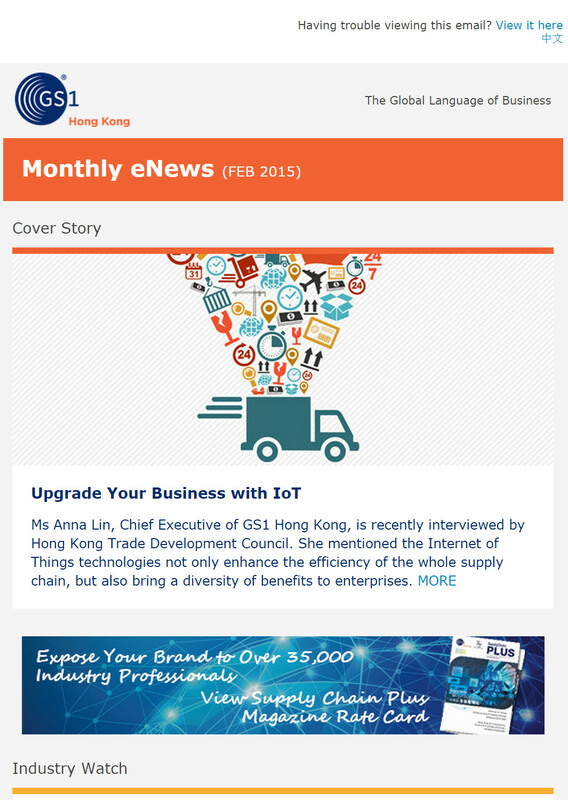 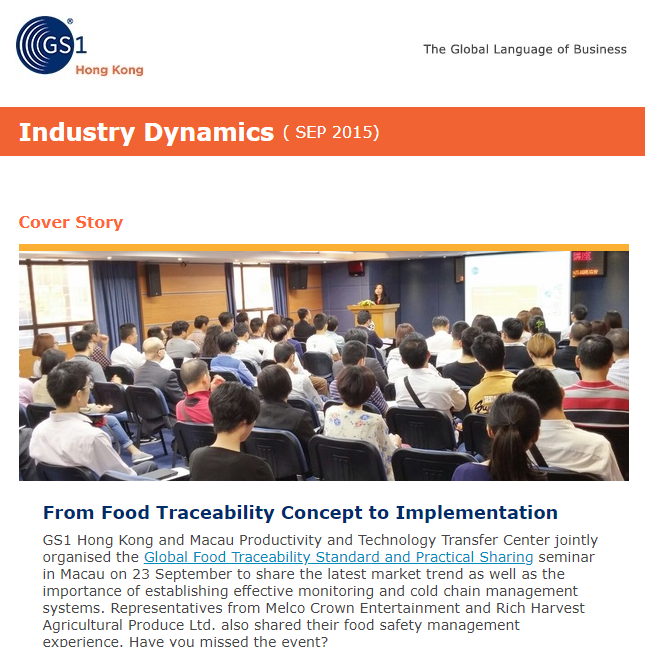 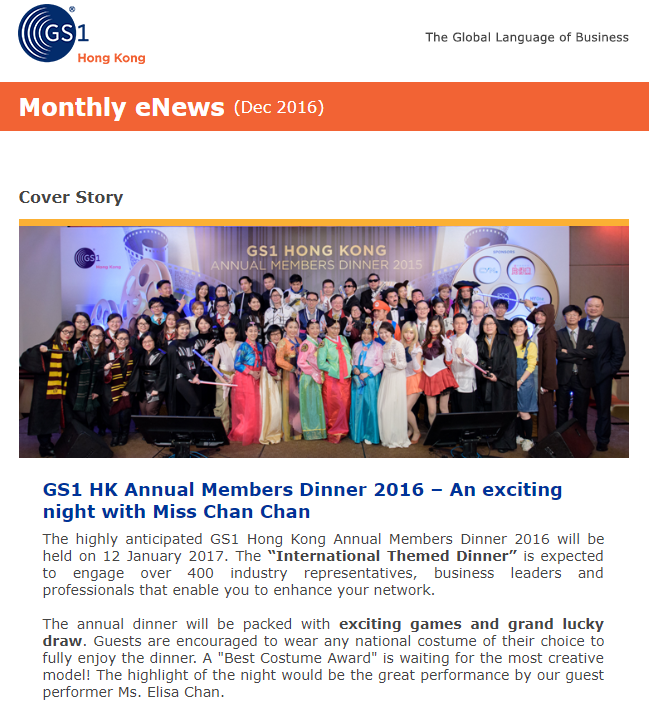 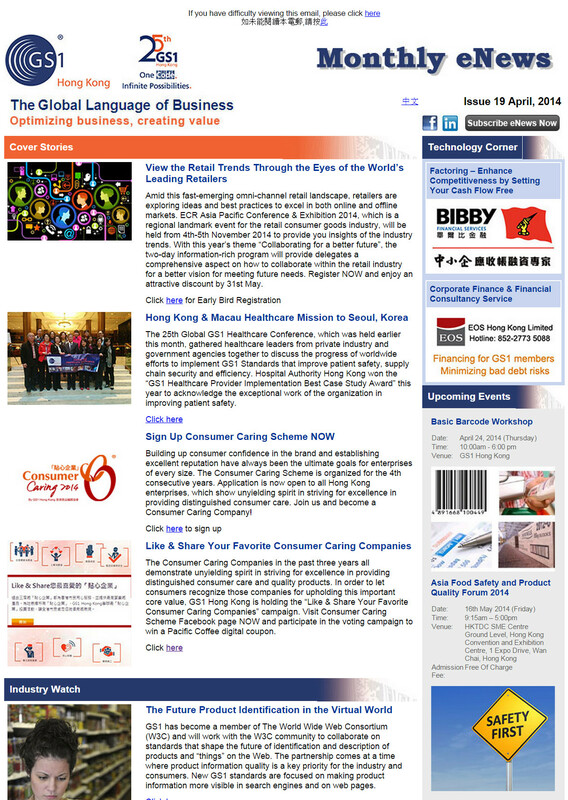 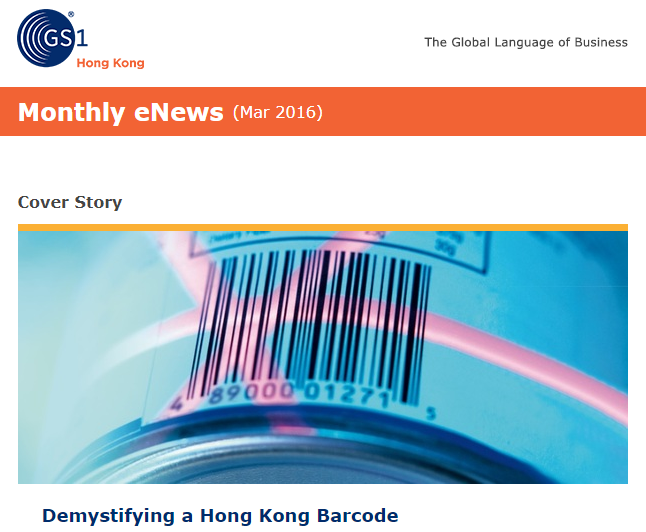 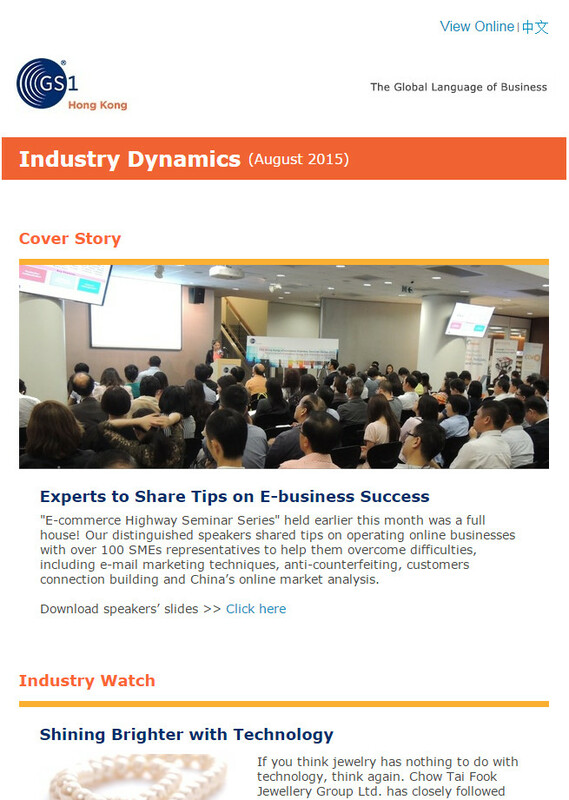 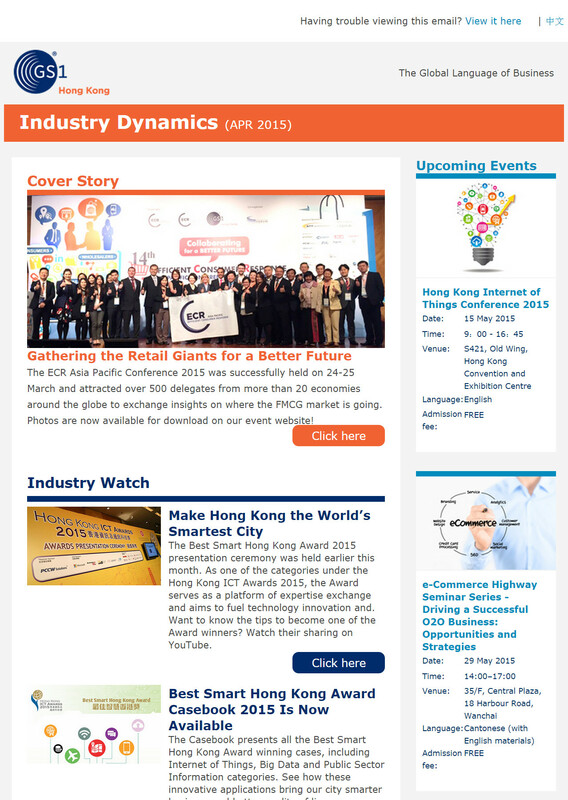 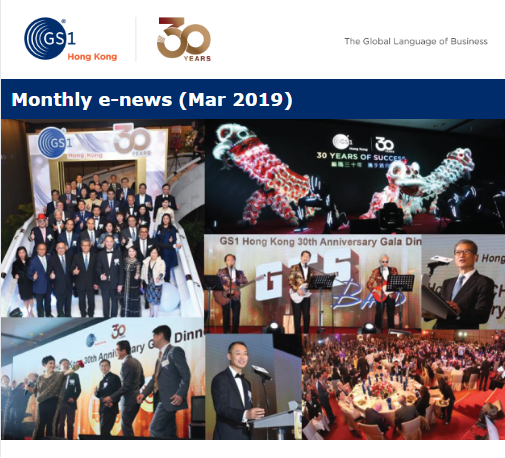 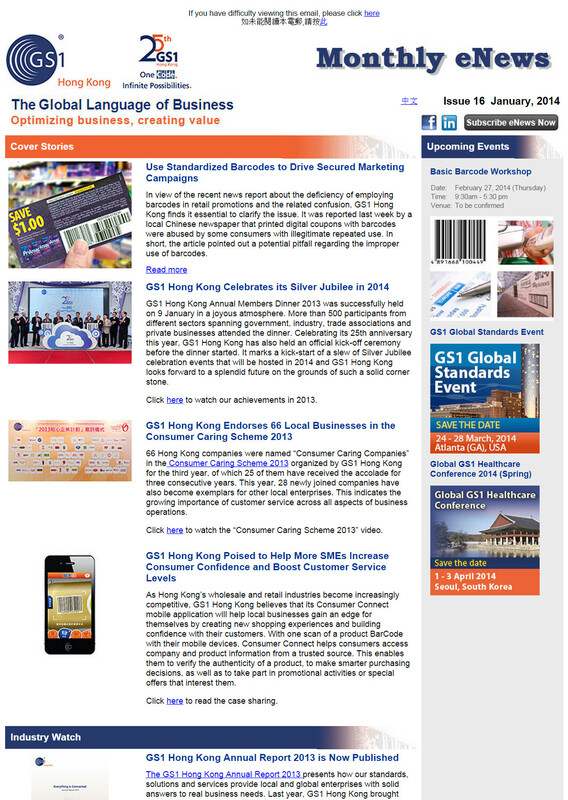 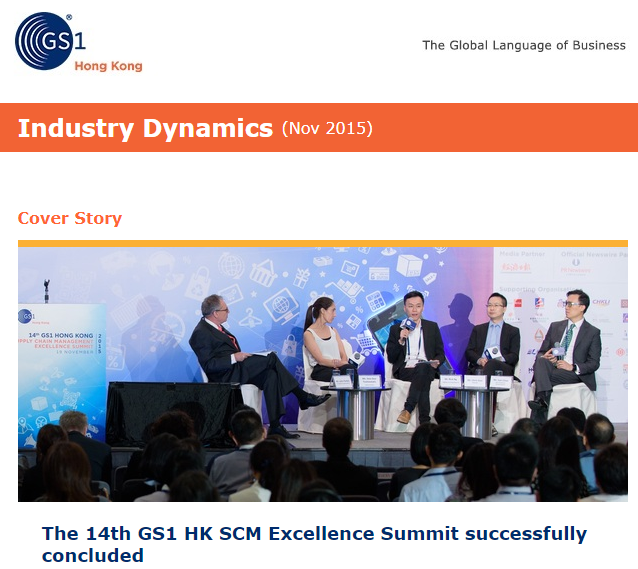 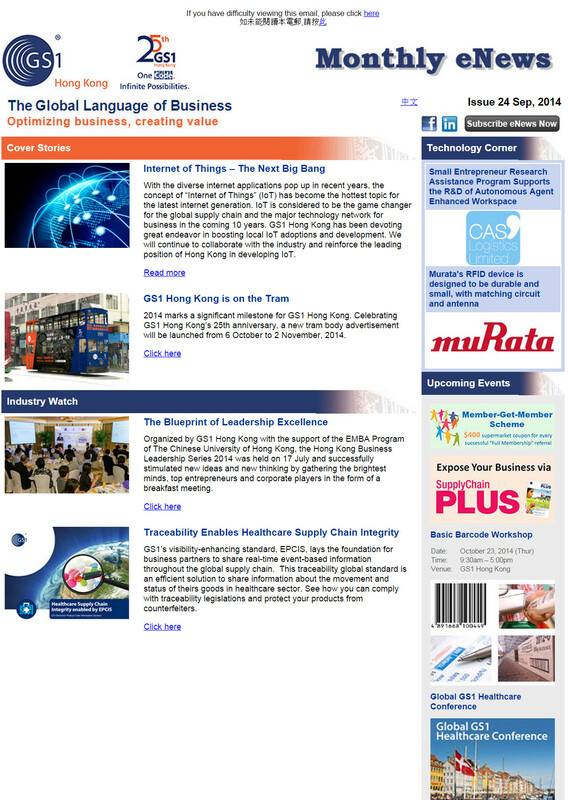 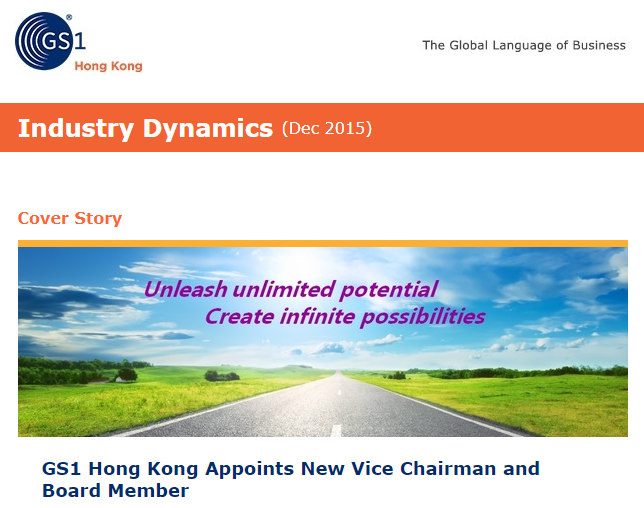 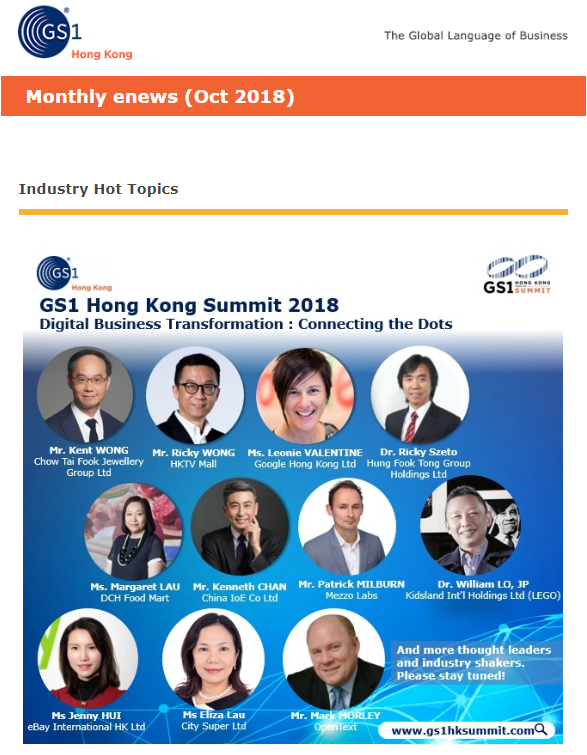 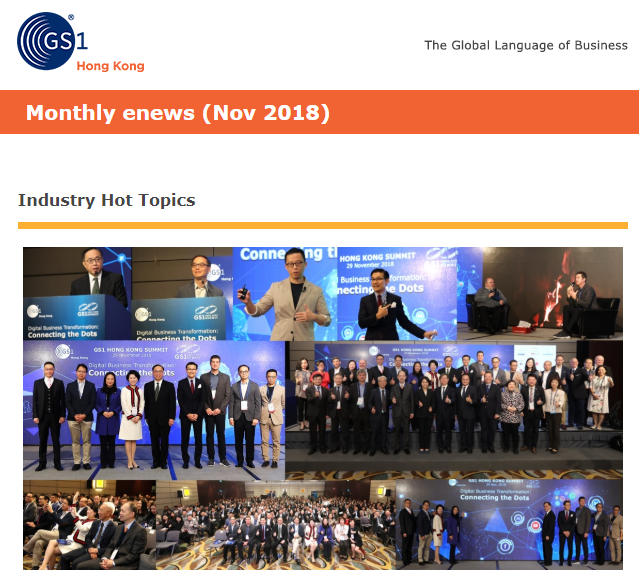 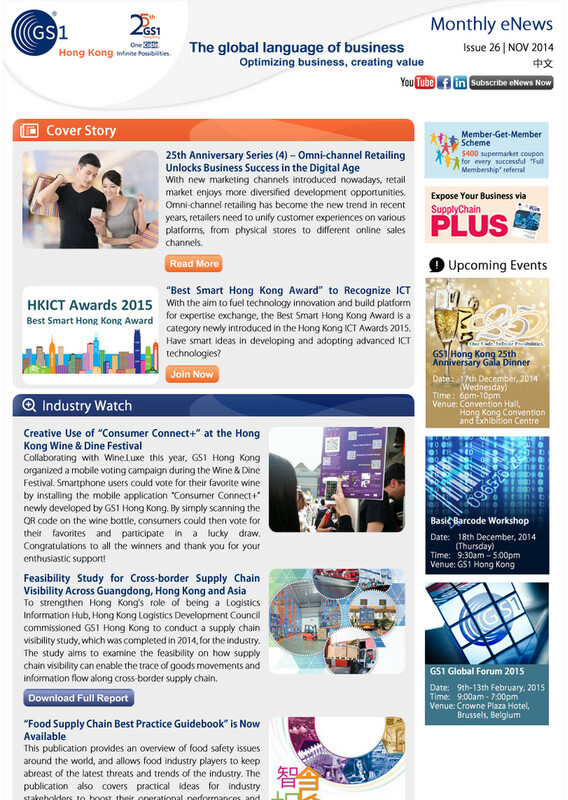 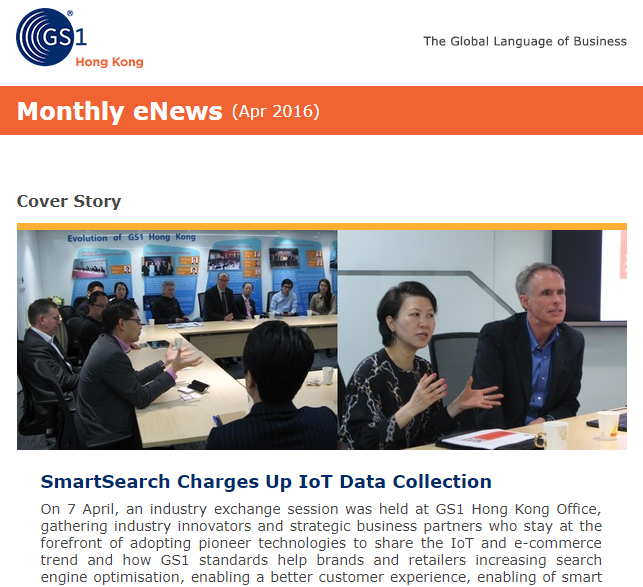 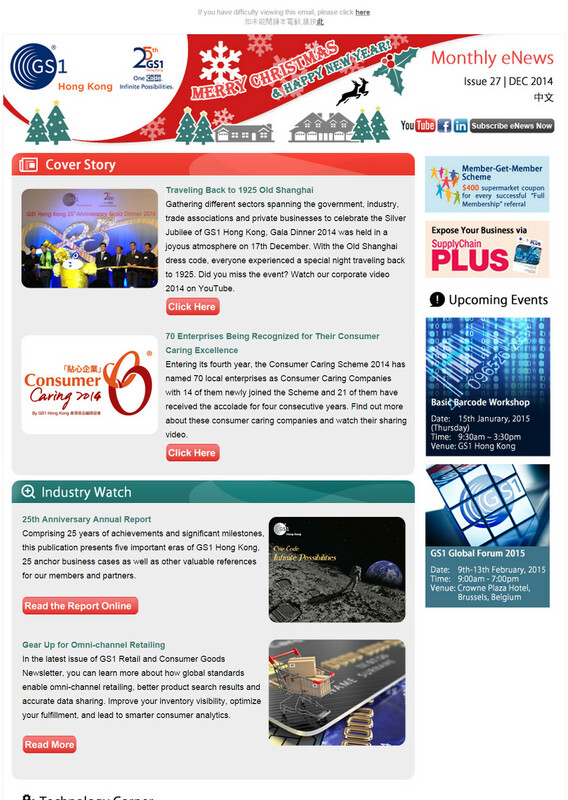 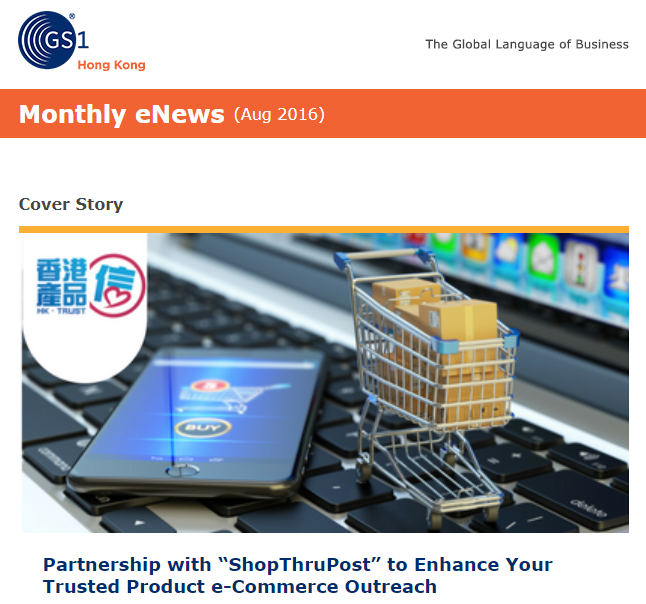 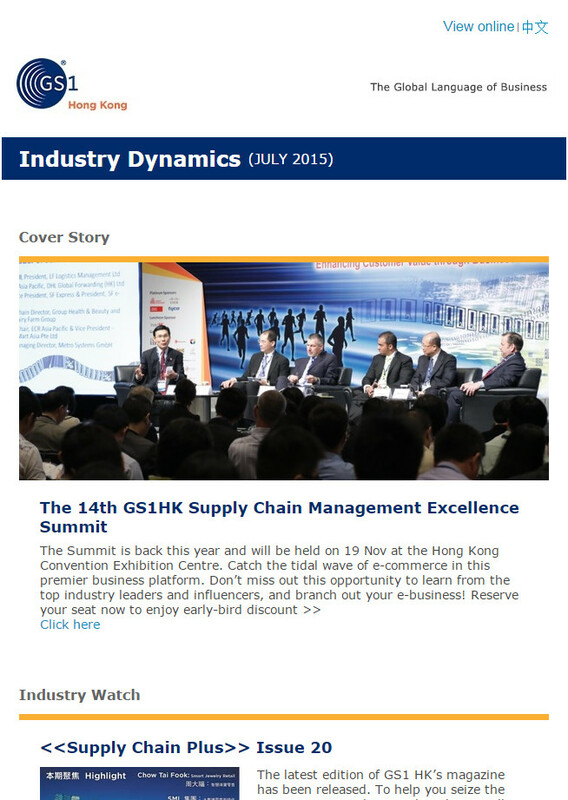 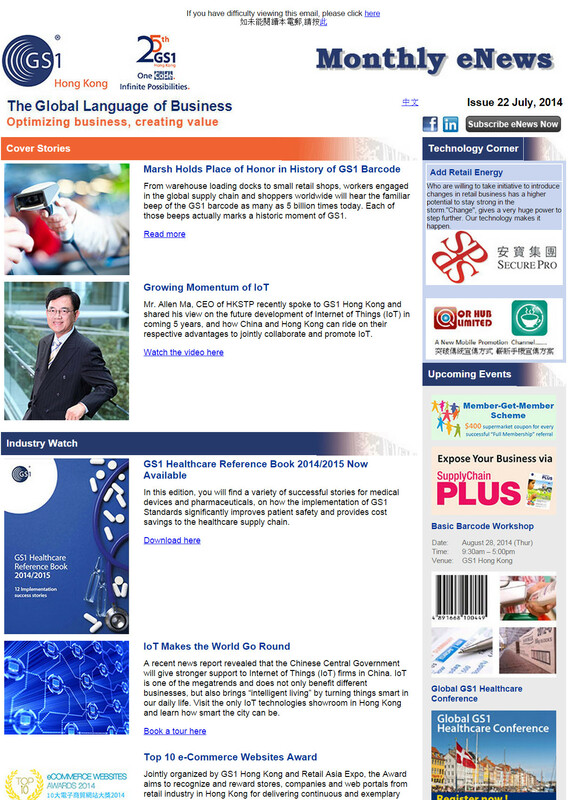 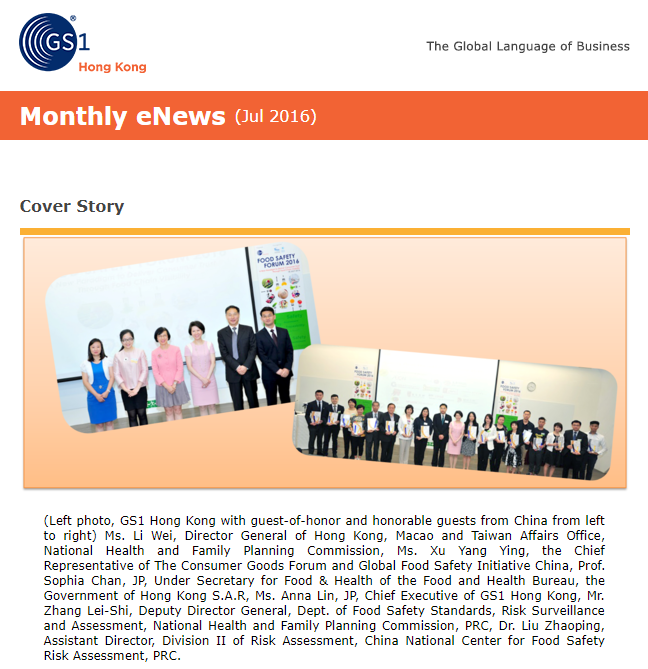 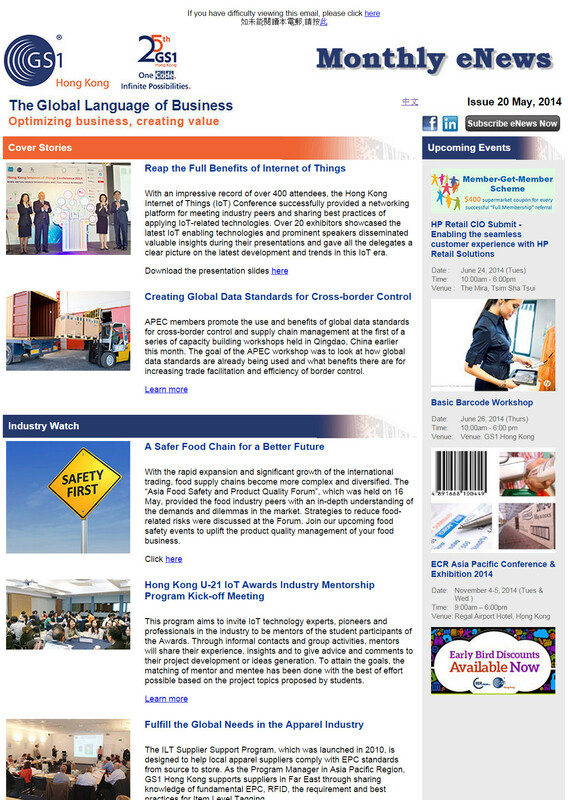 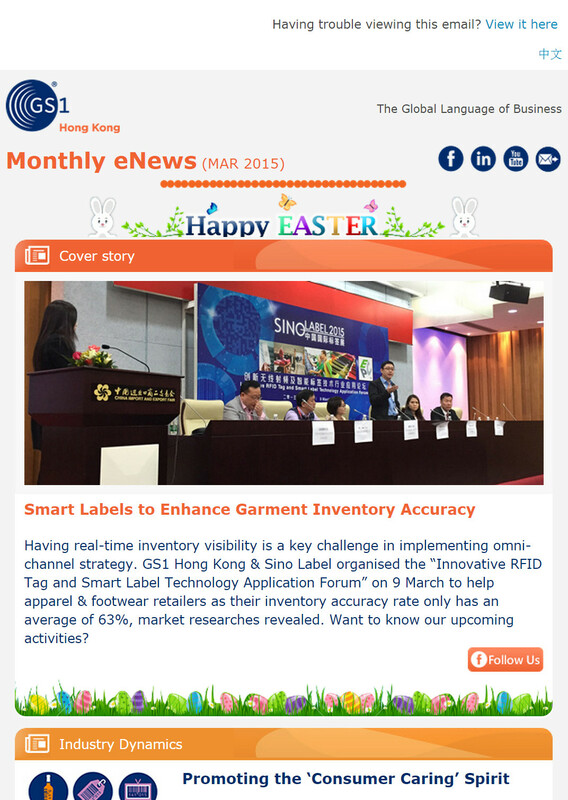 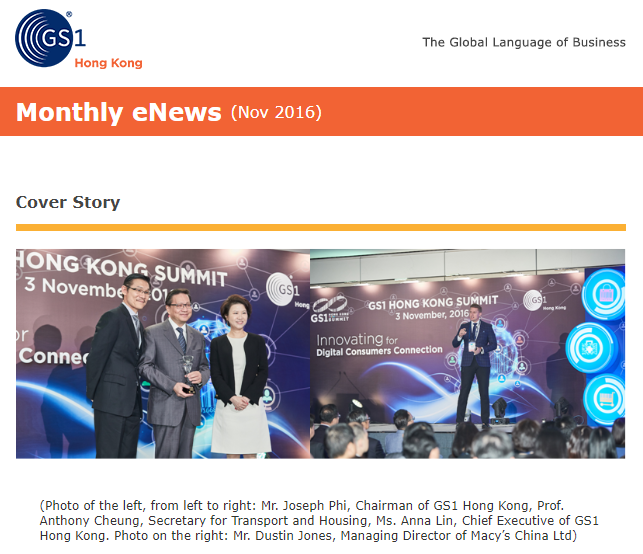 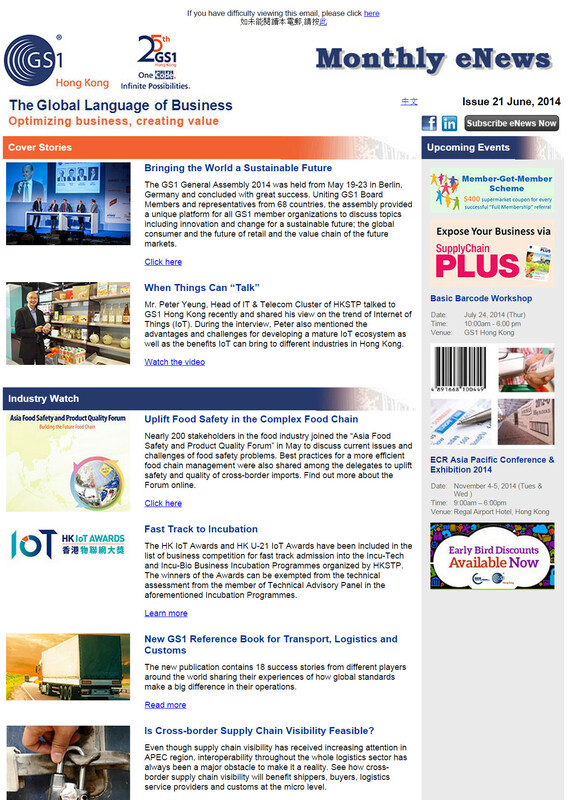 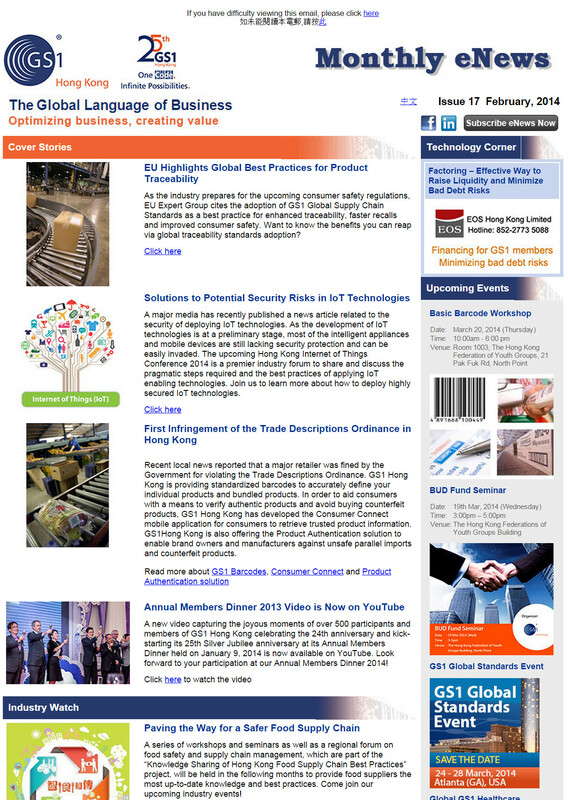 GS1 Hong Kong e-newsletter provides a comprehensive update on supply chain major events and news. 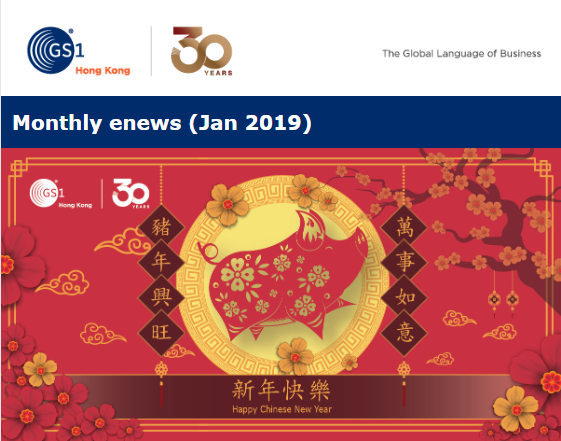 Happy New Year, and Be Prepared for our 30th Anniversary! 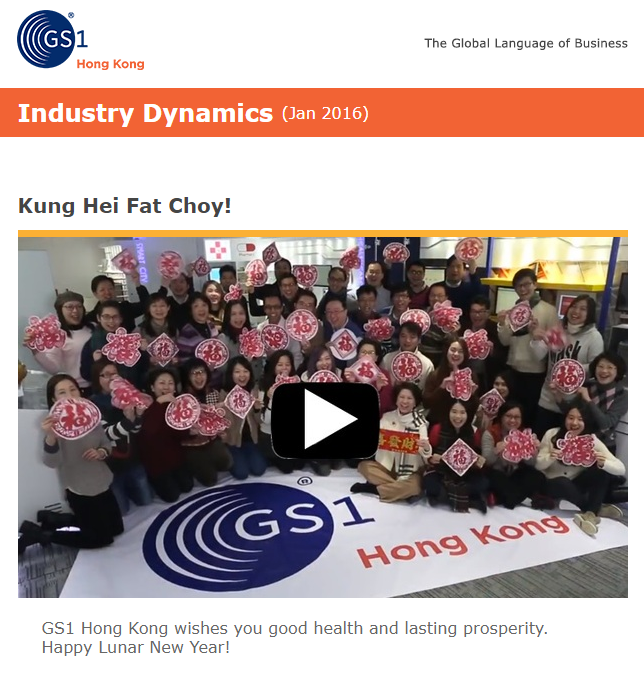 Happy Chinese New Year - GS1 HK wishes you a fruitful & prosperous year ahead! 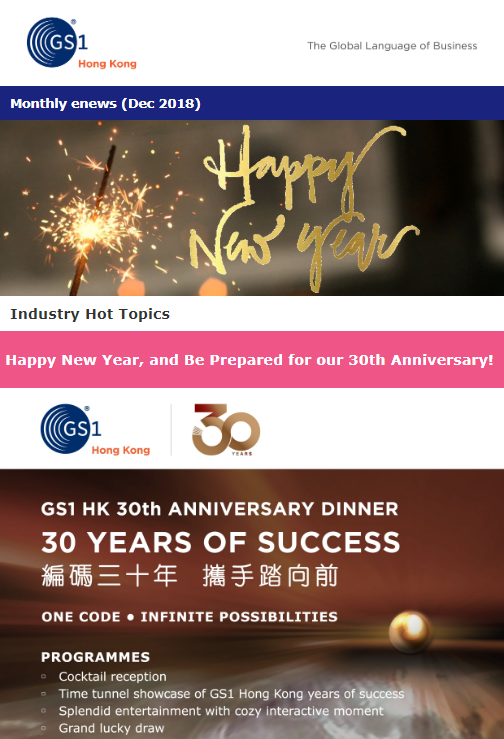 Happy New Year & Let’s Celebrate Together!